New data confirms that a record-breaking number of students experienced homelessness during the 2016-17 school year. The number of students who experience homelessness each year has been steadily ticking upward for more than a decade, topping out at more than 1.3 million in 2017. Unfortunately, as the national student homelessness strategy, Education Leads Home, notes, it’s likely that these numbers are just the tip of the iceberg. Most schools are ill-equipped to identify students who are experiencing homelessness, let alone connect them with housing, transportation and family support. Trouble identifying and supporting homeless students leads hugely negative impacts on those students’ ability to learn and progress academically. 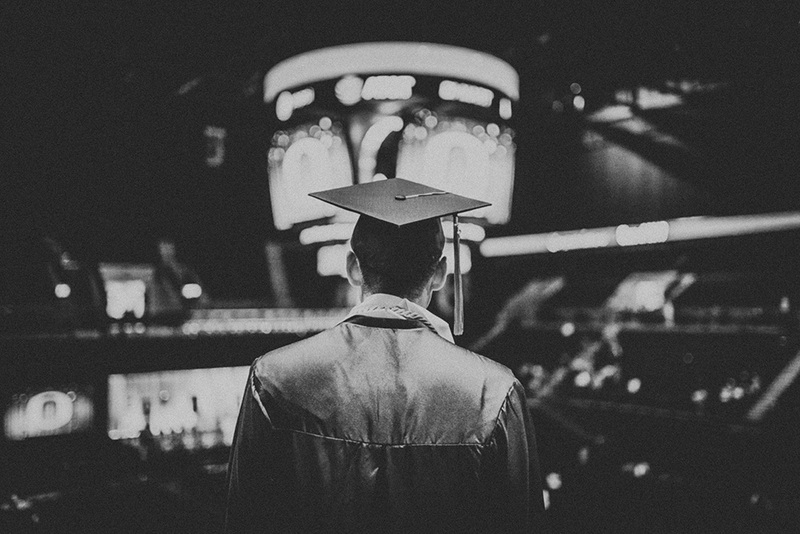 Nationwide the graduation rates for all high schoolers is close to 84 percent, but just 64 percent of students who experience homelessness graduate on time. It’s important to underscore that youth who experience homelessness gradate at far lower rates than low-income students. The effects of homelessness, the trauma, instability and chronic stress, impact youth above and beyond poverty, making early detection and targeted support all the more urgent and necessary. Our schools’ struggles to support students experiencing homelessness also compounds the students’ risk for homelessness as young adults. We know that young people who do not receive their diplomas are 4.5 times as likely to experience homelessness as young adults. In fact, lack of a high school degree is the biggest risk factor for experiencing homelessness as a young adult, underscoring just how important raising graduation rates for homeless students is if we’re going to break the cycle of homelessness. Addressing the rise in homelessness across the country will require a focus on housing affordability, income inequality and lack of healthcare, as well as numerous other systemic problems. But it’s clear that we can’t ignore the powerful role that the education system can—in fact, must—play in preventing homelessness and helping students who are experiencing homelessness to find stability and success. Washington state has been at the forefront of supporting students experiencing homelessness, and we’re poised to take another huge step forward. This year, we’re partnering with All Home, Chapin Hall at the University of Chicago, and others to begin piloting a new model for identifying students experiencing homelessness and connecting them with social services in a number of high and middle schools. The Upstream Model, which was first conceived and tested in the region of Geelong, Australia, aims to help catch students before they become homeless through a relatively simple approach. Here's how it works: schools administer a screening tool to all students to flag possible risks of homelessness or school disengagement. The universal nature of the screen ensures that it is not just those students who speak up who receive support and services. The results of the screen, along with other sources of information, are used to assign students to one of three service tiers based on their risks, assets and needs, ensuring that each student gets offered the support and services he/she/they need. For example, a student whose survey indicates one or two red flags may be offered a light touch follow up conversation with a guidance counselor. If a student shows multiple risk factors or indicates that they are already homeless, the student will be offered housing support, family reconciliation services, case management or other services to help that student find stability as quickly as possible. The model has had impressive results in Geelong. The region attributes the Upstream Model to a 40 percent reduction in the number of young people entering the homelessness system, as well as a 20 percent reduction in students leaving high school before graduation. In Seattle and Tukwila Public Schools, where thousands of students experience homelessness each year, the Upstream Model could be a game changer. The sooner we can identify students and connect them with support, the sooner they can get back on track academically and heal from the trauma that homelessness inflicts. Better yet, we can prevent young people from ever having to experience homelessness by identifying the warning signs early. The model represents a shift in the way we respond to homelessness—with its focus on prevention, not just crisis response—and as the number of homeless students grows across the nation, we believe it’s something every school district should be working toward. There are students experiencing homelessness in every school district in our country, but we can only help them if we bring them out of the shadows. Schools are key to breaking the cycle of homelessness, but they need tools to identify students and support them. The Upstream Model aims to bring that to King County, and hopefully, the nation.